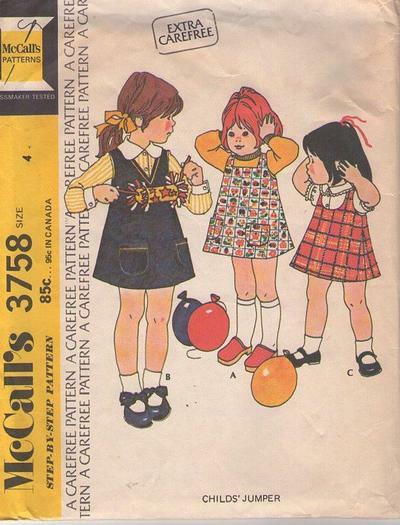 1973, 70s Childrens, Retro Beginners Clothing Patterns - Jumper with a choice of necklines has buttoned back vent. A and B has patch pockets. B has braid trim.